By Melissa L. Rhoads, Esq. If you own or are considering buying one or multiple real estate investment properties to capitalize on the beneficial housing market, you have undoubtedly spent countless hours pondering the risks associated with property ownership. More than likely, you are especially concerned that you are one slip-and-fall away from losing everything. There is a solution. Forming a Delaware Limited Liability Company (LLC) may be your best option for risk management and limiting future headaches associated with property ownership. An LLC is a hybrid business entity that combines the best attributes of a partnership and a corporation. Specifically, an LLC can choose to be taxed like a partnership, whereby the individual owners of the LLC pay taxes on their respective personal income tax returns instead of the company. An LLC resembles a corporation in terms of limiting personal liability, whereby the owners’ liability is limited to the amount of capital contributed. Currently, an LLC is the preferred form of protection for most real estate investors. Why should you consider an LLC for your real estate ventures? An LLC effectively separates your personal assets from any potential liabilities associated with the real estate. In the event of an accident or other problem, the most an individual LLC owner stands to lose is the property itself. A shield is created around an LLC owner and all other assets are off-the-table. Therefore your “personal” assets, such as your primary residence and other investment homes, are generally protected from claims by creditors. Generally, setting up an LLC is a relatively inexpensive and simple task; assuming, of course, that it is done correctly. The controlling document for any LLC is the Certificate of Formation, which is typically a one-page document that explains specific information about the LLC being formed, such as the LLC’s name, and its registered agent address. Keep in mind that no two companies can have the same name. As such, you may want to reserve the name before filing your LLC formation paperwork. Once a Certificate of Formation is filed and subsequently approved by the Secretary of State, an LLC is a lawfully recognized business entity. There may be additional requirements to get your LLC up and running. For example, you may be required to register your LLC with other governmental agencies such as the Department of Revenue. It is important to make sure all necessary registrations are handled properly in order to gain the protection afforded by an LLC. Once all of these preliminary steps are handled, the LLC is ready to conduct business. Once you have successfully and lawfully created your LLC, your LLC is able to buy and title property just like you would otherwise do personally. As such, once you locate a possible investment property you are able to purchase, mortgage, title, and insure the property solely in the name of your LLC. All rental payments from tenants can be made payable to the LLC and property management becomes part of your business. What if you already own a property that is titled in your name? If you currently own a property that you would like to transfer to your recently created LLC, this process can be done through a title transfer. As such, you no longer personally own your investment property; instead the real estate is owned by the LLC. Keep in mind there may be tax consequences and other costs associated with a deed transfer. However, you may find the long-term personal liability insulation may be worth any initial costs of a transfer. These issues are provided to serve as a few key suggestions (and not intended to be a comprehensive discussion). If you have any questions or concerns, please feel free to contact Melissa L. Rhoads, Esq. 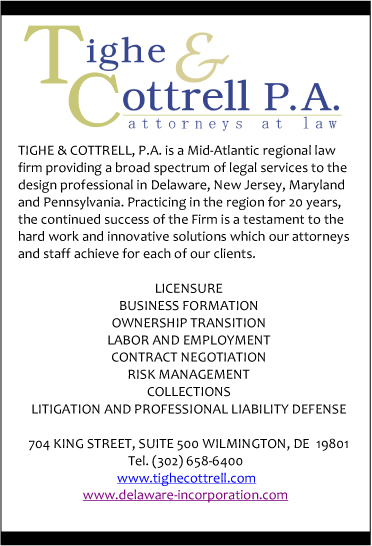 at (302) 658-6400 or m.rhoads@tighecottrell.com. 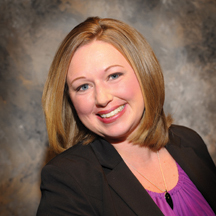 Melissa L. Rhoads is an attorney at Tighe & Cottrell, P.A. at 704 King Street, Suite 500, Wilmington, Delaware 19899.